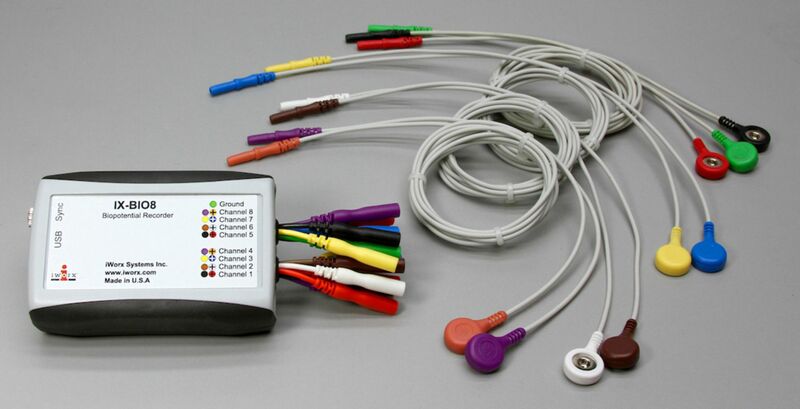 An eight Channel Biopotential Amplifier that allows multiple channels of EMG, ECG, EOG to be recorded simultaneously from a single exercising or resting subject. The recorder is furnished with LabScribe Recording and Analysis Software and connects directly to a USB port on either a Macintosh or Windows. The recorder is connected to the subject by snap-leads to pre-gelled Ag/AgCl electrodes. Kinesiology is the study of human and nonhuman animal-body movements, performance, and function by applying the sciences of biomechanics, anatomy, physiology, psychology, and neuroscience. When studying kinesiology, surface electromyography (sEMG or Surface EMG) is the measurement of choice. This recorder enables 8 channels of EMG recordings, or a combination of EMG and ECG recordings. 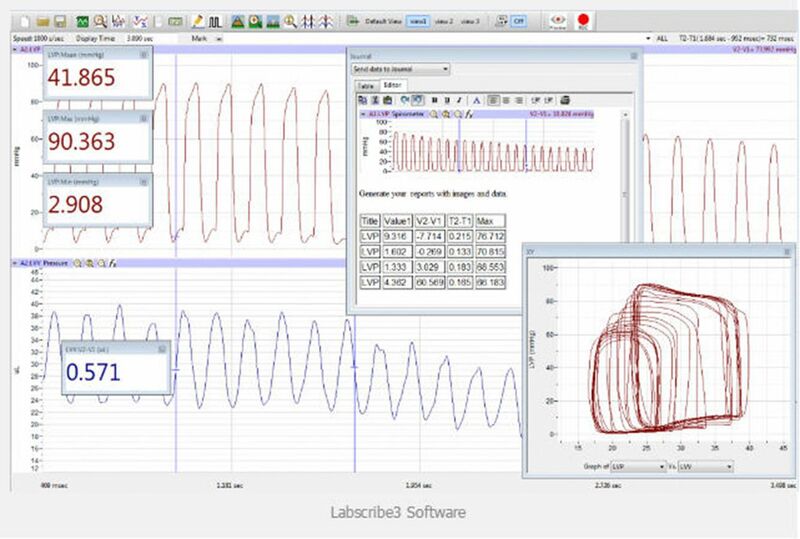 Measuring 2 channels of ECG, Lead I and Lead II allows LabScribe to calculate Lead III, aVR, aVF and aVL . 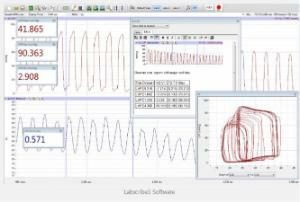 EMG signals can be measured at the same time as the ECG signals.